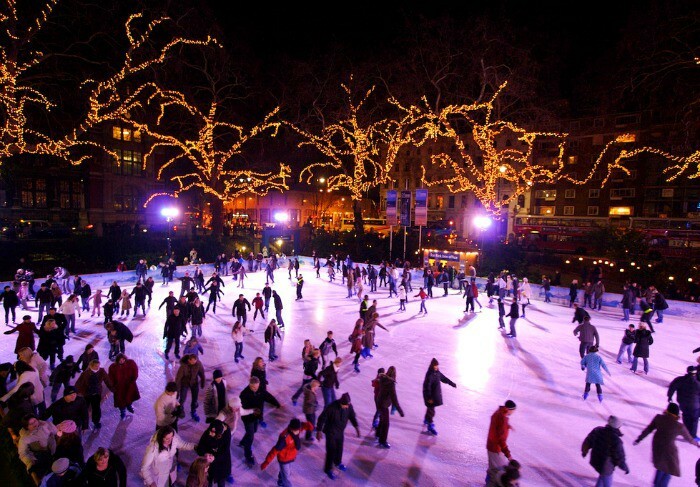 Christmas might be a fair few weeks away, but most of London’s festive ice rinks are already in full swing! 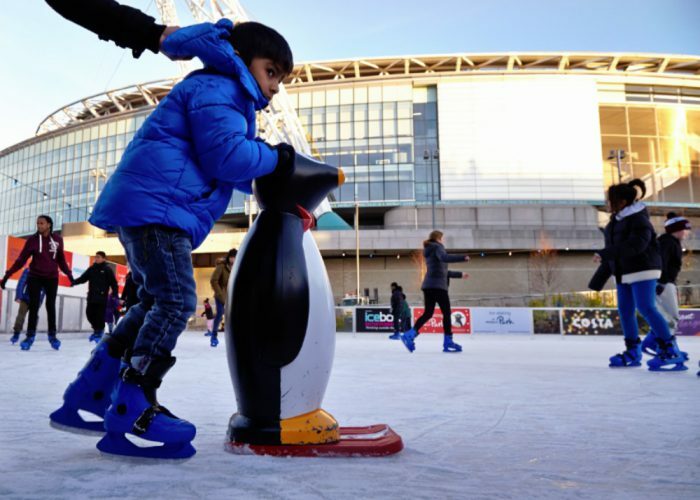 Every Christmas, the whole of London embraces the festive season, with outdoor and covered ice rinks in or around pretty much every main London landmark. Choose your favourite and book your tickets in advance to make sure you don’t miss out! 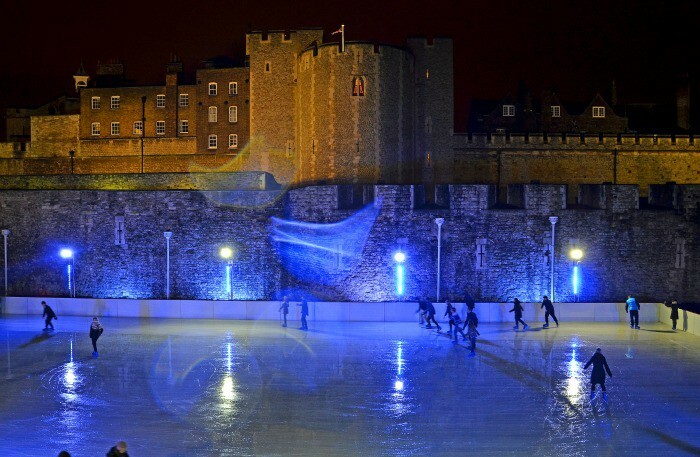 If you’re planning to visit the Tower of London this Christmas, why not book a spot of festive ice skating as well? As the imposing Tower looms above, glide around the rink and feel the atmosphere of hundreds of years of history – it’s certainly the oldest location on our list. From 17th November until 2nd January. Originally built in the 18th century as a Tudor Palace, Somerset House has a famous ice rink that fills its courtyard at Christmas time. Located right in the centre of the city, just down the road from Trafalgar Square and off The Strand, this venue is extremely popular, so you will need to book well in advance to skate. This year, Somerset House have teamed up with Fortnum & Mason and will be hosting club nights with top DJs. You will also be able to relax in the apres-skate at Fortnum’s Lodge and do a bit of Christmas shopping at Fortnum’s Christmas Arcade. Ice skating is from 15th November until 14th January. If you’re looking for all the fun of the fair, choose the ice rink in Winter Wonderland in Hyde Park. The rink is surrounded by vintage fairground rides, thrilling rides, Christmas market stalls selling chocolate and festive trinkets and a bar selling mulled wine, mulled cider and craft beer. Just make sure you book ahead as the ice skating is very popular and it gets extremely busy close to Christmas. From 17th November until 1st January. This is the early bird option, as the Natural History Museum ice rink opens in November! Skate next to an architectural masterpiece at the gorgeous Natural History Museum. The museum is free to enter, so you might want to combine your visit with a museum trip! The Science Museum and Victoria & Albert Museum are also free to enter and just a short walk away. From 27th October until 8th January. Another early bird option – and ideal for late comers as the rink is open until February! Glide around underneath the towering and iconic office buildings of Canary Wharf, as well as 18km of LED lights as part of this year’s theme – Luminosity – a truly unforgettable city atmosphere. 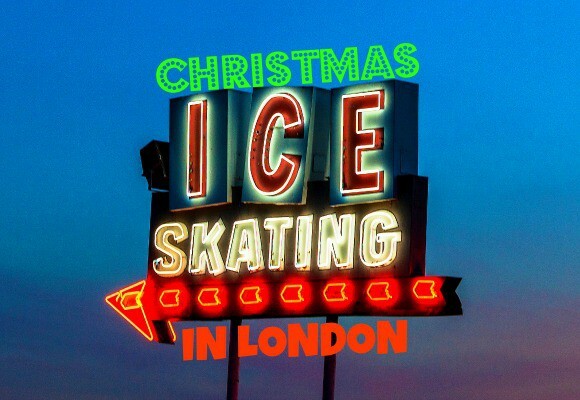 Symbolic of modern London, bathe in a light display showcasing over 16 million different colours as you skate – a surreal and futuristic atmosphere that will make this Christmas that little bit different! From 4th November until 24th February. Check out our entire range of Christmas activities here. Will you be skating this Christmas? Images from Jeremy Brooks, Lima Pix, DncnH and Simon Whitaker via Flickr. 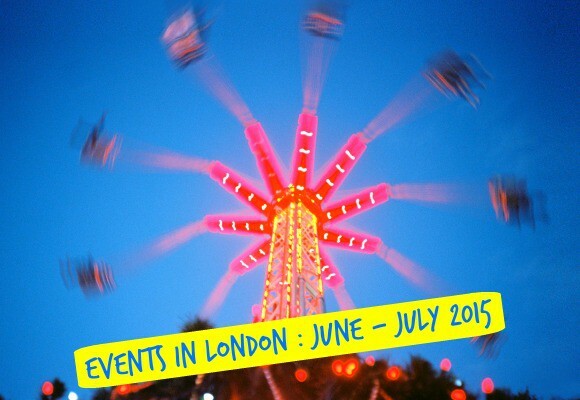 WIN A Cabaret Dinner on The Thames for Two!